Fort Belknap Indian Community Council oversees the Fort Belknap Chemical Dependency Center in Harlem, Montana. Tribal Council members are community leaders who decide how to allocate resources to best serve the populations of Gros Ventre and Assisniboine. The Gros Ventre are a Native American, Algonquian-speaking tribe, who hail from North Central Montana. The Community of the Fort Belknap Reservation of Montana is a tribe recognized by the federal government that includes Assiniboine people. Once enemies, the Gros Ventre and Assiniboine people now live and work together in the same community. The Fort Belknap Chemical Dependency Center offers Gros Ventre and Assisniboine people in the community outpatient treatment for substance abuse disorders. Treatment services include more than just evaluations, outpatient treatment and group and individual counseling. Aftercare services are also available, as well as DUI education, workshops and prevention activities. More unique offerings include the traditional sweat lodge and Talking Circles. For any recovery needs that Fort Belknap cannot meet, they are able to provide clients with referrals. Fort Belknap does not employ 12-step tenets for treatment. The outpatient program is structured to suit the individual needs of clients. Staff offer educational presentations on addiction, recovery support and individual counseling. All educational courses are designed to be culturally-sensitive to individuals. Outpatient services require clients to attend group counseling sessions for 60 to 90 minutes twice a week. Counselors lead adult groups of five to 10 individuals. A youth cultural coordinator runs adolescent groups. Clients are required to attend at least one individual counseling session for 60 to 90 minutes each week. Treatment includes historically-relevant practices to the Gros Ventre and Assiniboine people, including sweat lodges and Talking Circles. Sweat lodges are a traditional and distinctive healing method passed down in Native American culture. Sweat lodges are small, dome-shaped huts built around pits where heated rocks lay. The steam is meant to provide purification and spiritual healing for the individual. The Talking Circles are community groups that exists to support an individual recovery from substance abuse. The Circles consist of Elders, leaders and youth from the community. These groups are peer-run as opposed to having a formalized, outpatient group counseling structure. There are 11 individuals on staff, including six LADCs. The Fort Belknap Chemical Dependency Center is state approved and licensed. Transportation services are available to clients without a way to reach Fort Belknap independently. For Belknap offers Lakota language services. Outreach services are available at Hays and Lodge pole Communities. Aftercare services are also available, including assistance in relapse prevention, referrals for clients who need additional treatment and follow-up counseling sessions for individuals in continued recovery. Prime For Life DUI School and Minor In Possession (MIP) classes are available for court-mandated clients. These are evidence-based programs designed to facilitate intervention for individuals experiencing ramifications from substance abuse. The Prime For Life School includes Level One, Two and Three classes for day-long, eight-hour sessions. Once a client has completed all levels, he or she receives a certificate. The MIP classes provide education about drug and alcohol laws in Montana. The purpose of both the MIP classes and the Prime For Life DUI School is to arm adolescents and adults with knowledge and preventative strategies to halt behaviors that lead to driving under the influence. 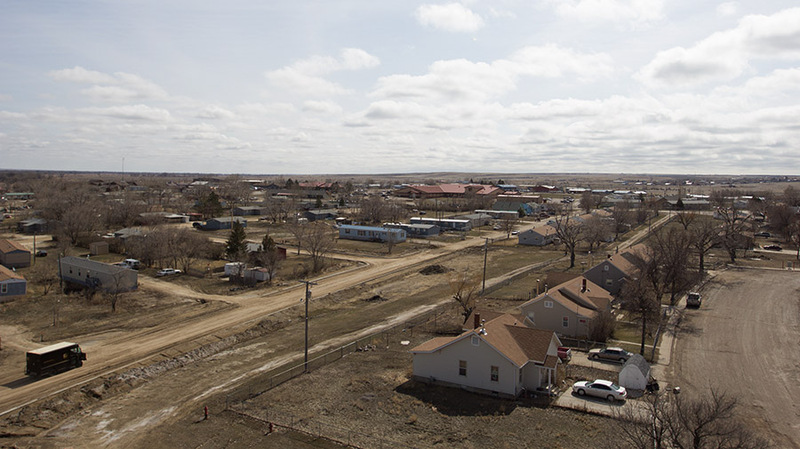 Fort Belknap Indian Community Chemical Dependency Center offers culturally-traditional support for substance abuse. The methods of recovery at Fort Belknap have been passed on through oral traditions for thousands of years. Treatment at Fort Belknap is a mixture of age-old spiritual practices as well as modern strategies for chemical dependency recovery. Fort Belknap Indian Community Cost: Insurance, Medicaid/Medicare, Access to Recovery vouchers only. Reach Fort Belknap Indian Community by phone at (406) 353-4376 and (406) 353-4175 or by email at [email protected]. Do you have a complaint or review of Fort Belknap Indian Community to add? Use the comments area below to add your Fort Belknap Indian Community review.